AT&T this week announced that its high-speed 4G LTE network  compatible with Apple's latest iPhone 5, iPad and iPad mini  has launched in 15 new markets, and also expanded coverage in a handful of other locations. The latest expansions are the most significant update to AT&T's network since mid-November, when the company's 4G LTE coverage was extended to 24 new markets, including Denver, Colo., and Columbus, Ohio. 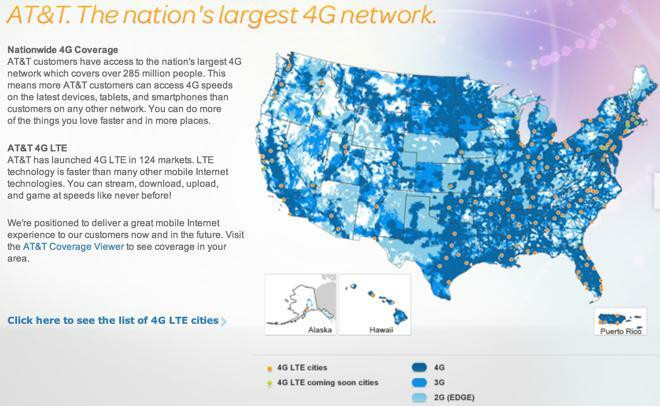 In all, AT&T's 4G LTE network has been launched in 124 markets. The company plans to reach 250 million people by the end of 2013, and 300 million by the end of 2014.